BRUNSWICK, Maine - Oct. 4, 2017 - PRLog -- Green Bee, the makers of all natural honey-sweetened sodas, is announcing the launch of a new line of unsweetened sparkling waters. "We thought it was time to bring The Green Bee Way to the sparkling water world," says Chris Kinkade, President and Founder. The Green Bee Way uses real ingredients for real flavors - with no shortcuts. The philosophy was a welcome change when Kinkade entered the soda game, and one that's still lacking in the field of unsweetened beverages. Green Bee's ingredients are completely transparent--"Carbonated water, lemon juice," in its lemon sparkling water--while competitors use the conveniently meaningless black box of "natural flavors." Each sip of Green Bee delivers the true taste of actual fruit, not just the hint of factory-derived "essence." 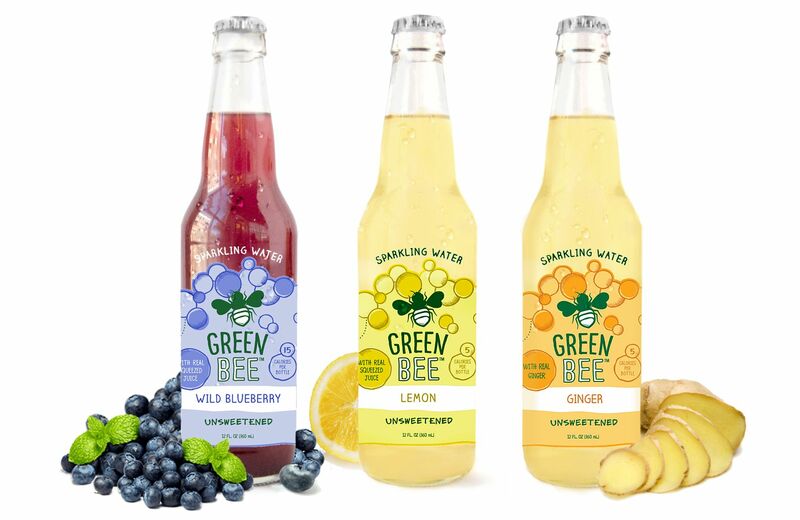 The new Green Bee Sparkling Water lineup includes three new flavors: Lemon (5 calories per bottle), Ginger (5 calories per bottle) and Maine Wild Blueberry (15 calories per bottle). Green Bee works with farmers from all over the country to make sure they get only the best and freshest ingredients available. "Yesterday, it was growing on the farm; today, that freshness is in our bottles," says Chris Kinkade. As part of the initial launch, Green Bee has partnered with Luke's Lobster restaurants which will serve Green Bee Sparkling Water in locations nationwide. "It's been amazing to find a beverage company in our own backyard that shares our commitment to best-in-class taste and sustainability," says Luke's founder Luke Holden. "The new sparkling waters will be a huge hit with our guests, who are clamoring for an unsweetened beverage where they can taste and pronounce everything on the ingredients list."